Why is no deal better than a bad one? 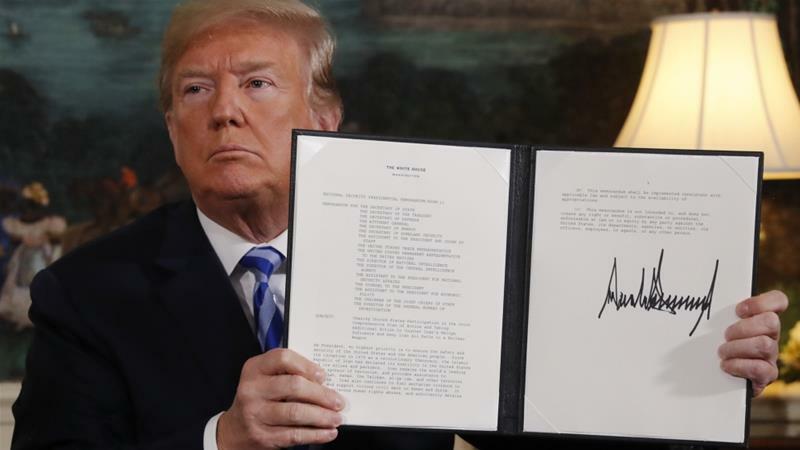 I am still trying to digest the implications of Donald Trump’s decision to pull the United States out of a deal that would prohibit Iran from obtaining a nuclear weapon. The president railed against the deal struck in 2015 as a terrible agreement. He said he couldn’t in good faith keep the United States involved in a pact that had the endorsement of virtually all of our major strategic allies. Here’s the question for which I cannot find an answer: Why is “no deal” better than a bad deal that could be improved? U.S. House Armed Services Committee Chairman Mac Thornberry — who happens to represent the Texas Panhandle in the House of Representatives — questions the wisdom of backing out of the deal without trying to persuade our European allies to work even harder to hammer out a better deal. Did the president exhaust all of our diplomatic options? Every single one of them? Were there no avenues to explore? None? Anywhere? The defense secretary and Joint Chiefs chairman both concurred that Iran was complying with the strict inspection protocol that had been written into the deal. Trump said Iran wasn’t. Who do we believe? No need to answer that one. I know who I believe — and it isn’t the commander in chief. The president’s first task is to protect us from our enemies. I do not believe Donald Trump has fulfilled that task by tossing the Iran nuclear deal into the trash bin. Let’s remember this fact that hasn’t yet been discussed fully in the hours since Trump’s announcement: Iran was a signatory to the agreement; if the Iranians remain a part of it, the deal sticks; if they don’t, all bets are off and they will resume their quest for a nuclear weapon. Do you feel safer now? Neither do I. 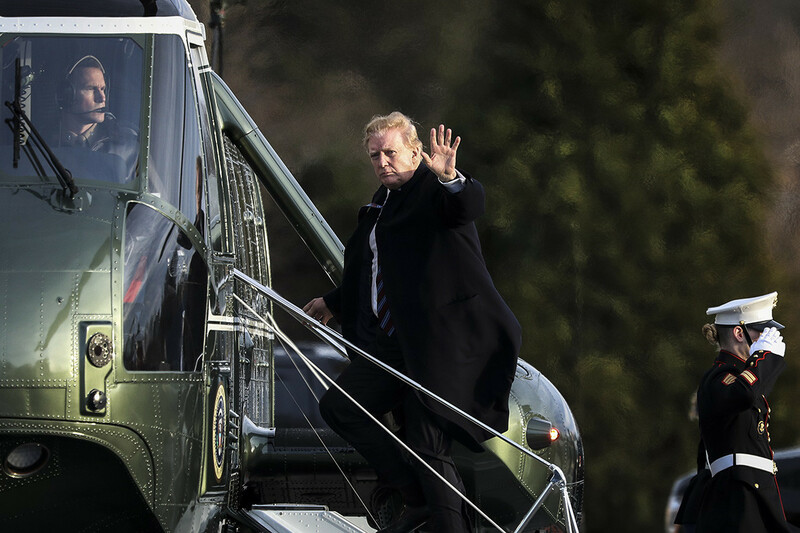 Three Americans held hostage are on their way home, where they’ll likely get quite a red-carpet welcome led by the president of the United States. They were held by North Koreans who held them on phony “espionage” charges. This is a most positive development, although we should take care to avoid overstating it — or understating it, for that matter. Donald J. Trump’s tough talk directed at North Korean dictator Kim Jong Un well might be part of a remarkable change in tone coming from the reclusive Marxist regime in Pyongyang. If that is the case — and it’s a bit early to make that final determination — then we might be witnessing a new form of “diplomacy” practiced by the leader of the free world. Trump and Kim and headed for a landmark summit. Trump is demanding an end to the Kim’s nuclear-weapon development aspirations. Kim wants assurances that the United States won’t invade North Korea. Yes, there remains a huge gulf between the sides. However, that gulf got a bit narrower today with the release of these three Americans — all of Korean descent. 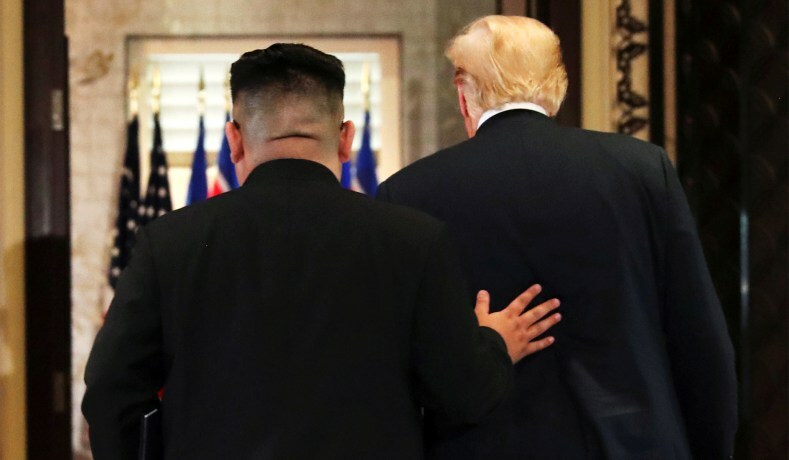 Let’s now hope their health is as good as it has been advertised, and that the two leaders can proceed toward a summit that leads to a lasting peace on the Korean Peninsula. So, what about nuclear preparedness? Hawaii residents were shaken to their core over the weekend when they thought for what seemed like forever that they were going to be blown to bits in a nuclear attack. Their cell phones sounded an alarm and it took 38 minutes for them to learn the truth: It was a false alarm. But, this incident begs many questions. Why did it take so long to call off the statewide panic? How did an employee “push the wrong button”? And then there’s this: What kind of preparation are other communities throughout the United States making in case of a real nuclear attack? But it’s no joke. They do serious work out there. What has Amarillo done to prepare for such an event? I have lived in the Texas Panhandle for 23 years. So help me, I never have heard about a community emergency response system. Whatever it is, I don’t know where to go. I grew up, of course, in the duck-and-cover era when the United States faced off against the Soviet Union, the other nuclear superpower. It was just Uncle Sam vs. the Big Ol’ Bear. Us vs. Them. Good Guys vs. the Bad Guys. Today’s world is different. The USSR morphed back into Russia, but they’ve still got plenty of nukes. So do several other nations: India, Pakistan, South Africa, China, the UK, France … maybe Israel. The SNAFU in Hawaii has alerted all of us — or at least it should alert us — that the nuclear threat remains dire, perhaps even more so than it was during the Cold War. Are we prepared? If someone out there has a plan, let’s hear it. More than 40 years ago, the U.S. Senate Foreign Relations Committee asked some tough questions about the president of the United States’ fitness to be in command of the nuclear launch codes. President Richard Nixon was being swallowed up by the Watergate crisis. Questions arose about whether the president would do something foolish in a moment of intense political anguish. Flash forward. The Senate Foreign Relations Committee of today is now concerned, apparently, with the current president’s ability to handle this awesome responsibility. Senators didn’t come to any conclusions or seek any substantial change in the policy, but they got to air their concerns on the record about Donald John Trump. The president hasn’t yet demonstrated the complete understanding of command and control. He keeps popping off via Twitter, threatening North Korea with destruction. And oh yes, the president has virtually sole authority to launch nuclear weapons. 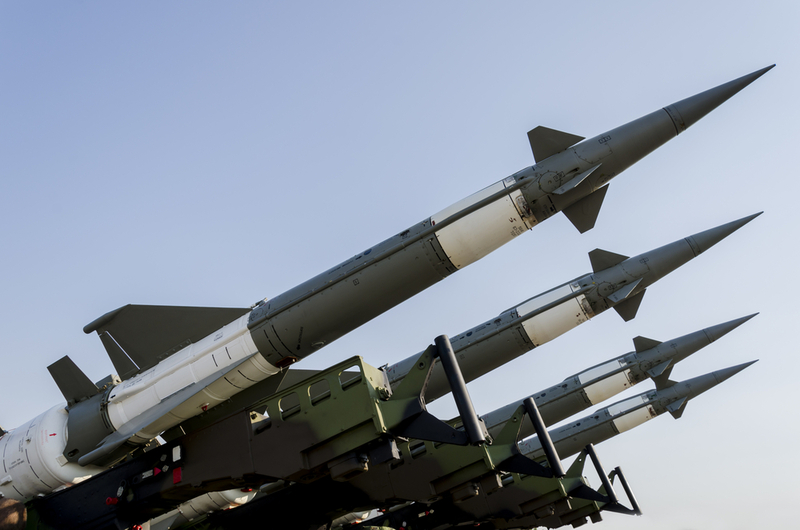 The policy was designed during the Cold War when the United States need a quick response in case the Soviet Union decided to launch missiles against us. 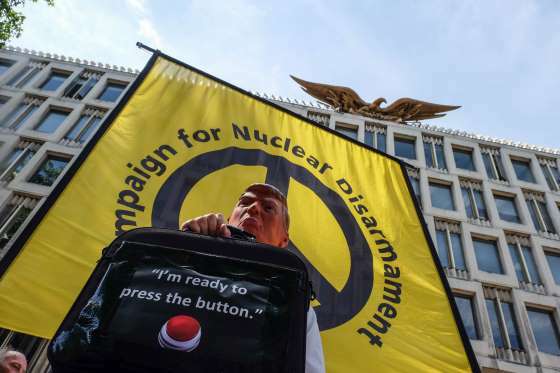 The Cold War is over, although the peril of a nuclear strike remains acute, given the enormous number of nuclear-armed nations around the world. Which requires a U.S. president to be of sound temperament and judgment. The Senate panel today sought to explore those issues today as it relates to the current commander in chief. Given the president’s behavior and the goofiness of his public pronouncements, senators have ample reason to wonder out loud about the commander in chief’s ability to keep us safe. The United States of America has followed a nuclear policy that, so far, has worked pretty well. Thus, is it possible for the United States to get North Korea to toss its budding nuclear stockpile into the crapper? Hardly. 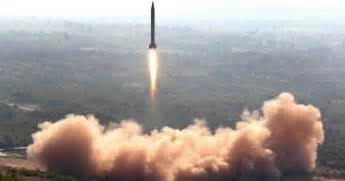 Which brings me to one of Kim Jong Un’s demands: He wants to keep his nuclear arsenal. USA Today’s list of five demands contains this one, which might be central to the current tensions that have escalated between the United States and North Korea. You’ve heard of “mutually assured destruction,” aka MAD. It kept the United States and the Soviet Union from nuking each other during the Cold War. The world is full of trouble spots occupied by nuclear-powered nations: India and Pakistan; Israel has them, too; South Africa has been thought to possess nuclear weapons. Yes, we negotiated an agreement designed to rid Iran of its nuclear weapon capability and the jury is still out on whether that will work ultimately. North Korea presents a tremendously different situation for us. Donald Trump is blustering, bellowing and bloviating about what he intends to do if Kim’s regime keeps making “overt threats” against the United States and our allies. A “threat” doesn’t constitute military action, so the president is treading on some highly dangerous ground if he intends to hit the North Korean’s first. My advice to the president — which he won’t ever see, let alone heed — would be to dial back the fiery and furious rhetoric and possibly accept the notion that North Koreans are going to do what they intend to do, no matter how many threats we level against them. However, the commander in chief can make it known — through back channels — what Kim knows already: Don’t even think about using those nukes. Donald J. Trump is now threatening to wipe North Korea off the face of the planet because of “threats” the rogue nation is making toward the United States. Have the North Koreans made any demonstrable moves against the world’s only super-duper power? Have they proved they are even capable of inflicting damage on this country? No. They are threatening to do bad things. So that prompts the president of the United States to say he’ll bring unprecedented “fire and fury” to bear on North Korea, which has the ability now to deliver a nuclear weapon on board a missile. As usual, the president isn’t thinking about what he is saying. He isn’t pondering how North Korea is going to respond to threats of maximum force. Oh, no. He’s simply popping off once again. His statement delivered while on vacation has drawn some rebuke from military experts and from leading Republicans in Congress. A first-strike response against North Korea is going to prompt a major ground war on the Korean Peninsula. Is that what the president wants to occur? Of course not, but that is going to be the inevitable consequence. Trump must be able to deliver on his tough talk. McCain and others are unsure he can and are mortified that he would say out loud that he would issue such a careless threat. Presidents Richard Nixon, Gerald Ford, Jimmy Carter, Ronald Reagan, George H.W. Bush, Bill Clinton, George W. Bush and Barack Obama had many differences of opinion on a whole range of issues. They all agreed, though, on one key matter: They all wanted to reduce the number of nuclear weapons in the world. Then along comes Donald J. Trump to announce to the world — via Twitter, of course — that he wants more nukes, not fewer of them. The response from his pal, Russian President Vladimir, was equally disconcerting. Hey, no prob, said the Russian strongman. 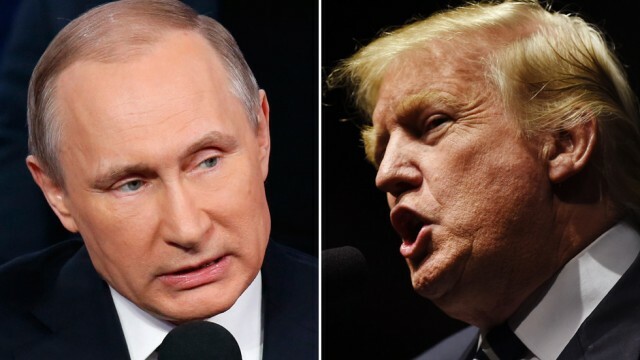 Putin takes no great concern over Trump’s assertion that we need to boost our nuclear arsenal, apparently disregarding the notion that we already can destroy the world with what we have. Trump already has let it be known that a new nuclear arms race with the Russians is no big deal, that the United States can outlast ’em in Moscow. Trump’s new press secretary, Sean Spicer, said the president-elect’s tweet was meant to warn the world against nuclear proliferation. Oh, boy. Conducting foreign policy discussions via Twitter is truly for the birds.